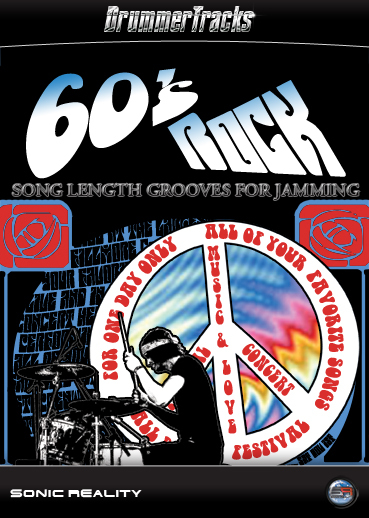 Jam along with song length drum track grooves in the style of rock bands of the 60s such as The Beatles, The Who, Rolling Stones and Jimi Hendrix. 10 groovy backing tracks that lock to tempo are recorded with the same vintage studio equipment used to make classic records. Play along, write music, record/overdub parts in any recorder or use it for fun practice.